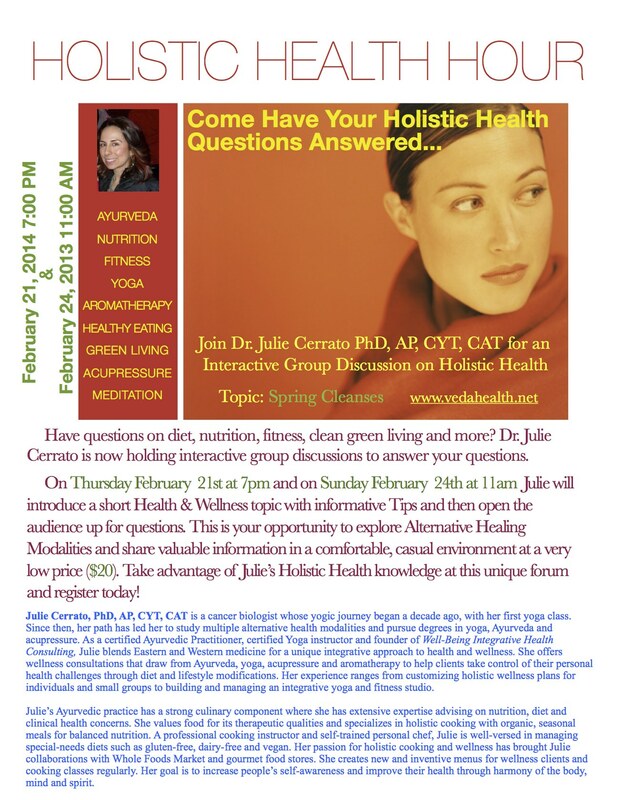 2 New Holistic Hours in February! Thanks to our overwhelming requests for more Holistic Hour, we will be hosting 2 sessions in February! Both sessions will cover Spring Cleanses. Register for the session that best meets your scheduling needs! Call 215-968-9750 to Register. I look forward to seeing you all then! ← 7 Wellness Trends To Watch In 2013!